Home › Reviews › What Is GetPaidTo? 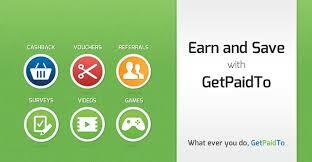 GetPaidTo (register here) is precisely what the name suggests, to get paid to complete tasks. What Task? Well, the usual suspects, like surveys, watching videos, listen to the radio, etc. This is what is GetPaidTo is. These kinds of sites allow people to earn money online by just completing any of the mentioned tasks and offers. I have reviewed many of these kinds of sites, and they are all different in some sort of way. It’s a free program to use by the way. I am now pleased to be introducing you to GetPaidTo and see how it stacks up, compared to the other survey site or Get Paid To sites, however, you want to label these sites. 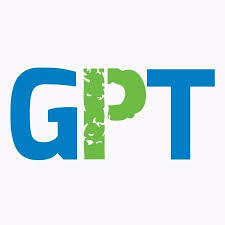 A great thing about GetPaidTo is that it is an international reward site. So anybody from this beautiful blue planet that we live on can join and start earning money from the comfort of their home. Let’s check out how to start earning points. Referral Program – The number one way to earn and is the most effortless is to have people sign up under you. If you are going to use this site, you must refer people under you, to help you earn more points. Tell a friend, a family member, or your neighbor. GetPaidTo loves you sharing and suggesting using their site to other people, so much, so they allow you to earn 15% of your referred person. While I have seen higher percentage from other sites, it’s still a pretty nice feature, and I really suggest you get people sign up under you. I would appreciate if you signed up under me to help support my site here, GetPaidTo referral link. Watch Videos – This is probably the least amount of bang for your time, but it is also likely the easiest too. Anywhere from 1 to 20 points per video. Some of the videos are YouTube, which is nice, instead of the lower video content of some other video content providers. The points are credited to you almost instantly, which is great. Some videos have a requirement in order to earn from them, like connecting your Facebook or Google+ account. Listen To Radio – Just launch their radio button and listen (or don’t) and let it play in the background as you earn points. You earn points by listening and filling out CAPTCHA field when they pop up on your screen. Check regularly to see when CAPTCHA is up as you are not alert to when it is. You can pick what decade of music you want to listen to, or click A/C for all channels combined. You should be multi-tasking when listening to the radio here also, to potentially earn more. How much do you get listening to the radio? Well, that depends what country you are currently listening to. Tasks – Complete easy and recurring simple tasks for various points. Offer Walls – Various tasks to get paid from. Just follow the easy to follow instructions to earn points. Paid Surveys – This has the highest paying job at GetPaidTo and should be your priority if you’re trying to earn the most amount of money you can. You can make money by just answering a series of questions. Most surveys show the typical length of time it takes to complete them. Play Games – Yep, you get paid for playing games, seems wrong on some sort of level. Right? But kind of falls flat due to lack of actual games that are available to play. They do have two games that say coming soon. So how much are these points worth anyways. We need to know this to help determine the best route to earning points as well. Also, you need a minimum of 500 points to cash out, and this is the lowest amount. PayPal or Bank Account – This option allows you to convert your hard-earned points into hard cash, either through PayPal or your personal bank account. You will need to provide a telephone number for verification. Cashback Boosts – This will give you the most value for your points, as it makes your points up to 50% (10% is the standard rate) more valuable by just shopping with their retailers or products that are eligible for the Cashback Boosts. This can easily be accessed at the top of the screen under the Save tab, Search Cashback Retailers. So using your point to buy things, you will give you a better point value. Gift Card – GetPaidTo has three retailers to convert your points into Gift Cards. They are Amazon.com, Best Buy, and Lowes. There are varying amounts from $1.00 all the way to $50.00 in gift cards. International sign-up. Anybody in the world can sign up and start earning money today at GetPaidTo. A pretty decent referral program. Better than most survey sites. You can find someone else to sign up under you, like a family member or friend you both make an initial $5.00 once they earn $10.00 in rewards. Most survey sites end there, but not GetPaidTo, you then make 15% of the GPT points your referral makes for the lifetime of your referral. Most excellent! If you would like to support this HighlanderMoney, please use this referral link to sign up. Three options of payout for your points. They are PayPal (my favorite) or Bank Account, Cashback Boosts, and Gift Card. I love having options. Minimum payout is $1.00. This is really appreciated as you can almost covert your point to cash at this point. I’ve seen sites with a whopping $30.00 to withdraw. Not Here! GetPaidTo Chatbox, this is such a helpful resource, where admin with friendly people eager to help you in a quick response to any questions. As with any kind of this kind of sites, your not going to get wealthy using this site. This is to be expected, but you can make some extra spending money. One game in the Games and Promotion section, with two coming games soon. Very limited to earn from playing games. This is their work in progress and needs improvement. As with all surveys site, I hate doing surveys…I know, I know, but some people enjoy doing them, and I don’t knock that. But it’s like pulling teeth to me. You click on some offers only to see a blank screen that says, Sorry, this campaign is no longer active. Don’t get my hopes up like that people. Some points take up to 48 hours to be credited to you. Radio loyalty is kind of bugging and chunky. Avoid using a VPN as your point earning capacity will be blocked when in use at GetPaidTo. Definitely, try to sign people up under you, as you make an initial $5.00 and then 15% of what your referral earns. Another great way of getting referrals is to build your own website and review products. If you are interested in learning how to have your own online business, check out my review of Wealthy Affiliate. This is where I learned to start making money online and to build my own business. I graduated from doing survey sites to affiliate marketing and YOU CAN TOO! Ask in the GetPaidTo Chatbox, what are the best offers to see what currently is paying well. You will get many good recommendations here, as either from the admin or other users. Use this feature for your benefit. Under the Earn tab, click What’s Hot. This is offers or deals that have been completed the most by GetPaidTo users in the last couple of days. So, if you’re looking for reliable methods of payout, I’d start here. This information is updated daily. I’d also want to suggest filling in your survey profile as soon as you can, this will enable targeted surveys to be available to you. Thus forth hence, earning you more points than the usual daily routers. If you’re going to watch videos, by all means, multi-task when doing this. Videos pay far less than what your time is actually worth. So you can be doing other money earning task while watching videos on a second monitor. Surveys are the highest paying job, and you should focus here if you want to earn more money. Fill out surveys with honest and accurate details, and this is in order for more of your surveys to be approved. Another tip is to pay attention to the Recently Earned box on the side of the screen, to see what other people are doing to earn points. Although not similar, I have been recommending Dealspotr because of the ease of making money. 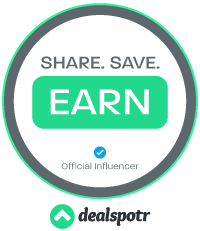 You can check out my review here, What is Dealspotr About? Also, I give all sort of tips on how to earn at these sites. instaGC – Read my review here, Is instaGC A Scam? Offers2Cash – Read my review here, Offers2Cash Review. InboxDollars – Read my review here, An InboxDollars Review. SuperPayMe – Read my review here, Is SuperPay Me A Scam? Swagbucks – Read my review here, Is Swagbucks Legit? Anyone looking to work from their home to earn a little bit of money. Keep in mind your not going to be “rolling in it” by any means by using this site. But, you will earn money. For what I call a survey site, or a GPT site their training and tools are pretty freaking good. Where ever you look they have helpful suggestions, videos, Chatbox, help section, and plenty of Help sections to get you understanding and using their website effectively. A well thought out website with a lot of emphasis on the user’s experience. I really enjoy the practicality of having chat to ask questions or just share what offers are good on survey sites. Thankfully, GetPaidTo has this, and they call it GetPaidTo Chatbox. A great feature. Not only do they have Chatbox they also have, FAQs, Contact Us page, Video Guides, and a forum for help. Pretty much all-encompassing. They also have a Help Section on the bottom of every page, so it’s easy to get help. What Is GetPaidTo? The benefits of GetPaidTo easily outweigh the negatives and seems like a pretty decent website in which to earn extra money. The site has the user in mind, with many helpful features and shows thought that went into this company. It has a decent payout for this kind of site. ‹ What Is The 5LINX Scam?